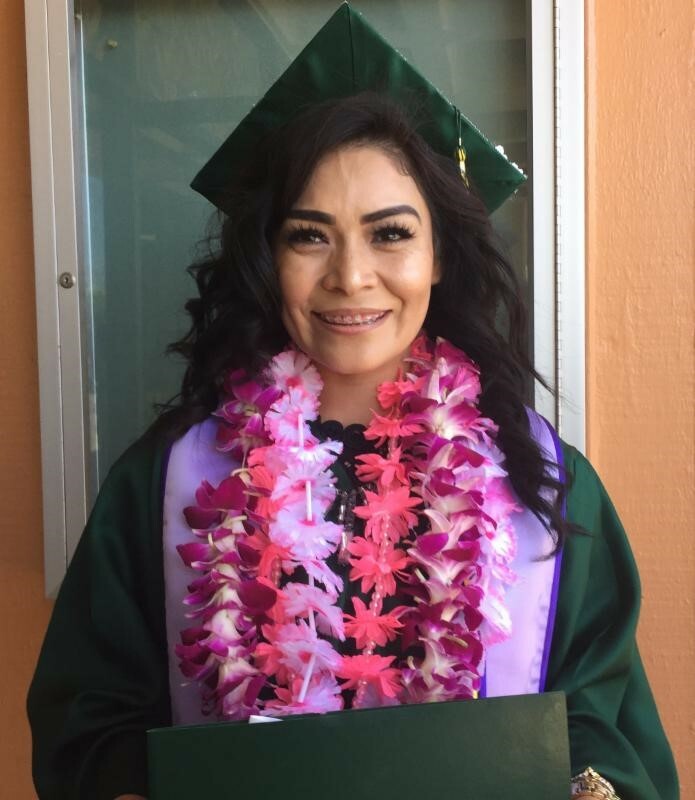 It took Silvia Gomez almost five years to earn her medical assisting certificate from Cañada College. 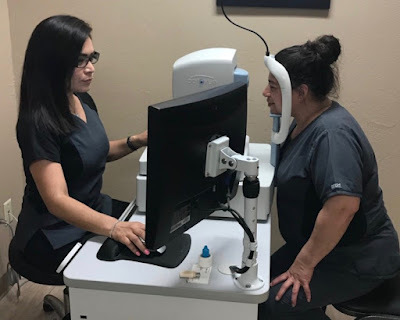 But just days after graduating, she was rewarded with a job as a medical assistant at an optometry clinic. While Silvia's job search was short and painless, her path to get there was anything but. In Mexico, Silvia went to school through sixth grade. When, at age 16, she moved to the US and started high school, her classmates teased her because she was so far behind. Silvia dropped out and got a job at Jack in the Box. Following in the footsteps of her aunt, Silvia then enrolled in an Intensive Nurse Assistant training program and eventually got a job at a nursing home on the night shift - from 11 p.m. to 7:30 a.m. - so she could go to school during the day. She took ESL classes at Sequoia Adult School and Cañada College, then embarked on the classes she needed to get her medical assisting certificate. She was in school for almost five years. "There were so many times, when I wanted to give up. I had to work all night and take care of my daughter and take classes that were so difficult," Silvia says. "I almost quit, but I didn't. Now, I can't believe what I did." Silvia was helped every step of the way by Upward Scholars, a local non-profit that provides community college students, mostly adult immigrants, with financial and academic support so they can succeed in community college. This semester, Upward Scholars is supporting more than 240 students, most of whom attend Cañada College. Upward Scholars provided Silvia with funds for her books, which often cost several hundred dollars a semester, and with a laptop so that she could study while on her break at work. “Upward Scholars helped me a lot because I knew they believed in me, so I started to believe in myself,” Silvia says. Silvia has no intention of resting on her laurels. She's currently enrolled in Cañada’s pre-nursing program and, after that, hopes to enroll in a nursing program at a university.